One moment she lies supine on the pink mat, the next she pirouettes into a Suryanamaskar, just before contorting her body into an unbelievable posture. You marvel at her agility, grace and poise. There’s an aura of calm that envelops her. She’s no ballerina or a classical dancer, she is from the new breed of Indians who have embraced and helped revive this ancient Indian art of fitness and meditation called Yoga. Yoga today is not only confined to the Maharishis of the Himalayas or the hippie travelers from the west, but is taking a full fledged form as a lifestyle and to some people even a feasible career opportunity. On this World Yoga Day, we bring you 6 such people who’ve said no to conventional corporate jobs, have trained day and night to master the art, some even completing formal studies in Yoga and have turned it into a full time career and a lifestyle. A political science graduate and an LLB from Delhi University, Varuna teaches Yoga to children at a school, writes for health and wellness magazines at noon and teaches at an open space in the evenings. If that’s not a full day dedicated to Yoga, she’s also preparing for a thesis for a Ph.D in Yogic sciences. She has taken her passion for Yoga to an academic level and has done a masters in Yogic sciences. Varuna is currently in the process of starting her own wellness company which works with athletes and professionals in the corporate sector, introducing the benefits of choosing yoga and ayurveda, making it a part of their lifestyle be it meditation, nutrition or therapy. She also plans to continue her research in the field of wellness in the future. 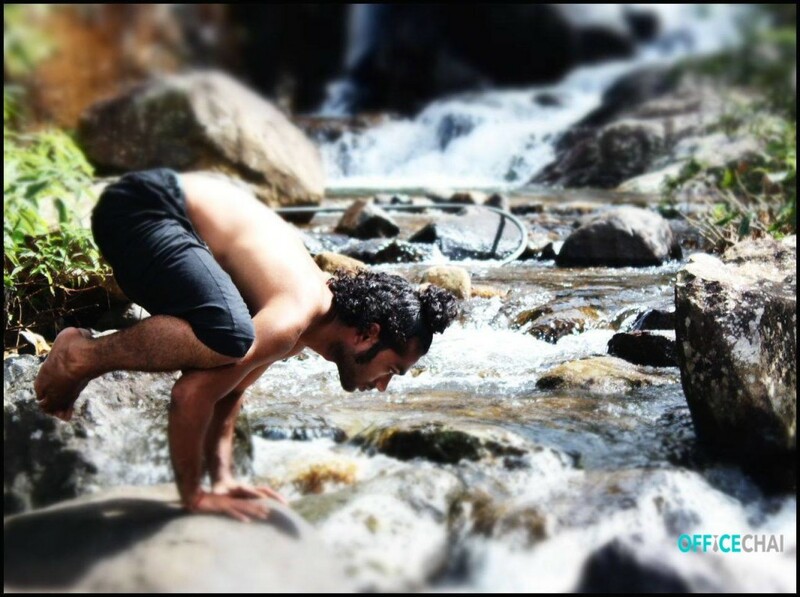 Sivapad is an MBA in finance who is now a full time Yoga instructor. At around 6, he met his Yoga guru with whom he used to train periodically. Realising his true calling, Siva went back to his master, and trained him for a few years living an austere lifestyle. He’s worked in a jungle with woodcutters, loading the heavy logs onto trucks, serving tables at a coffee shop, playing music, all in exchange for a little money to give his guru. “I was hospitalized once, and the doctor told me ‘Son, don’t waste your life, get a job” I just smiled and walked away. They see my dreadlocks and the way I dress and they think I dope and waste my life. But the fact is no one knows how much effort and sacrifice goes into this. I just had my good friend, his brother and my master who saw some hope in me.” His master and other students helped him get the funding for an international Yoga course. And since then there’s been no looking back as Siva has been a yoga instructor ever since, teaching both within India and abroad, where some of his students still keep in touch with him. Siva’s day starts as early as 4, doing stretches, and then dedicating the rest of the day to more meditation, reading and taking private and group classes teaching asanas, breathing, talks on yoga and meditation. Siva teaches yoga on a donation basis, and some of his students pay in the form of flight tickets, food and accommodation. Siva intends to keep his practice authentic and give quality service based on individual needs. However destiny had other plans for her. “The inclination to practise Yoga, this seed was sown at the time I was a 5 year old. Growing up in the sacred environs of the Arya Samaj where I did my schooling, I started to learn the intricacies of Yoga from early childhood as Yoga was part of the school curriculum.” After a 5 year corporate stint with a telecom company, today Priyamvada is a professional yoga instructor. She starts her day at 4, hopping between various classes, braving the city traffic to make it on time for her students eager to start their ‘Gurudasanas”. Priyamvada is determined to break a few myths about Yoga, including the ones about Yoga being bland or boring, yoga being female centric, and striving to motivate the practitioners to keep up their pace. Some of her greatest Yoga moments include helping a new mother lose 10 kilo delivery-gain with Yoga, enabling a 7 year old Yogi to teach Surya Namaskar to his grandfather, an expecting couple attributing their fertility to Yoga, and a 75yr old diabetic getting rid of insulin injections thanks to regular Pranayams”. 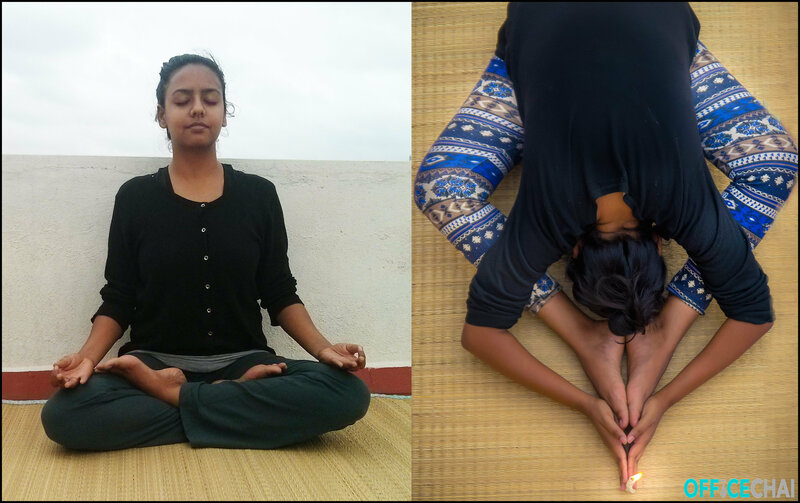 She recalls one of her best moments from her Yoga career when a student of hers who suffered from acute back pain and was suggested surgery for the same, the failure of which may cause her to be paralysed for life. She took to Yoga and after 5 months, she was full of hope and energy and was able to bow down without pain. 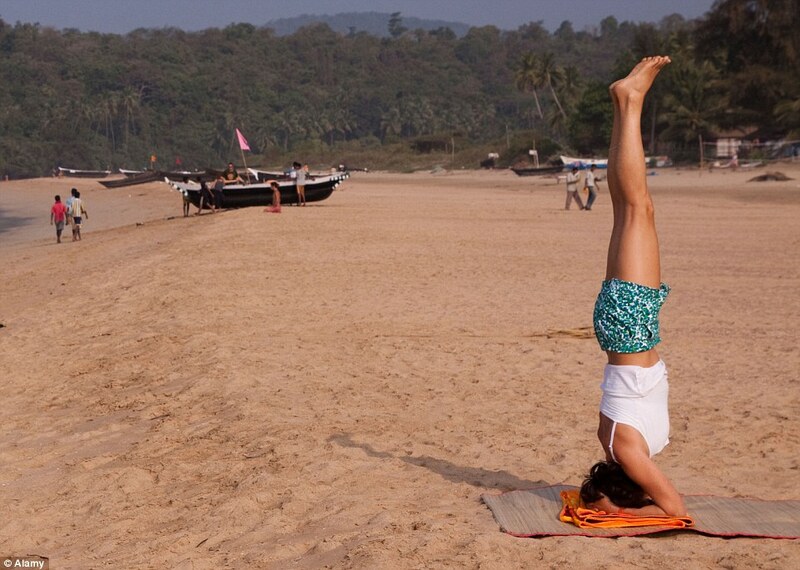 Hailing from the coastal and peaceful city of Mangalore, Karnataka, Debby has gone on to shift base to Vietnam in a pursuit to take Yoga to the world. After years of being a Yoga instructor in India, Debby has recently moved to Vietnam and will be taking classes there, apart from traveling and experiencing the culture of another country. 6. Arooshi Singh, 24, Bangalore. Arooshi is a a mass media graduate of St. Xavier’s college, Mumbai who’s had dabbled in advertising. She is also trained in Odissi and is a passionate cook. Her spiritual quest began when she set her eyes on the Himalayas for the first time at the young age of 13. Yoga was introduced to her at school and, over the years, she learnt about different forms of the practice. Classical yoga, also known as Hatha Yoga, appealed to her the most, and she went on to complete her teacher’s training in The Yoga Institute, Mumbai, under the guidance of Dr. Jayadeva Yogendra and Smt. Hansa Devi. Thereafter, she travelled to different places across the length and breadth of the country, volunteering and living in different ashrams such as the Aurobindo ashram in Delhi and Auroville. This experience deepened her knowledge about Yoga, meditation, and pranayama. Gradually, Yoga became more than a physical practice to her, and she started delving more and more into its mental and spiritual dimensions. While volunteering with children, Arooshi experienced immense joy and satisfaction, which later led her to specialize in teaching Yoga to children. She is currently undergoing level 2 training in teaching kids with special needs. She has also practiced vipassana under the guidance of Late Sri S. N. Goenka and completed level 1 in Reiki – a healing practice that has its origins in Japan. Firmly believing that an equanimous and calm mind opens up many possibilities, Arooshi started inspiring others to commit to long-term physical, mental, and spiritual health. Being a passionate advocate of holistic health and living, she has hands-on experience in organic farming and production of organic soaps, incense, and clothing.